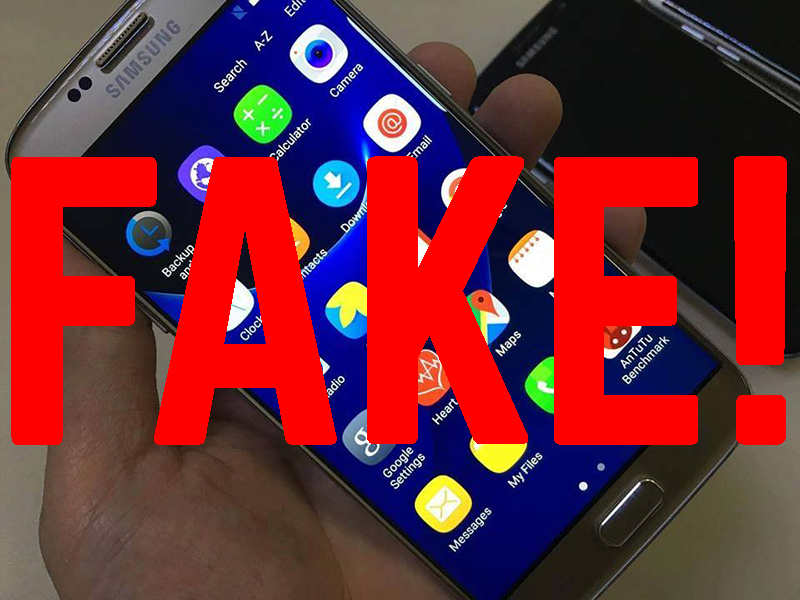 Notice To The Public: Beware Of Fake Samsung Galaxy S7 Edge Smartphones! Home / mobile / news / samsung / Notice To The Public: Beware Of Fake Samsung Galaxy S7 Edge Smartphones! Earlier, we got a report from one of our concerned readers that there are several local online shops that sells clones of Samsung popular Galaxy S7 Edge smartphone. It features identical looks to the original one, but with a lower price tag of around 6.5 to 8K in Pesos instead of around 30 - 40K Pesos. However, what's inside this handset isn't the real thing. It only goes with the entry level MediaTek MT6580 quad core chip and 2 GB RAM instead of the high-end Exynos / Snapdragon processor with 4 GB RAM. Why you should not buy the fake phones? 1. It is not the real thing - You'll get low specs, unrefined software, low performance cameras, weak batteries, and bad experience overall. 2. There is no real warranty or support - When you break your phone, there's no guarantee that you'll get proper repair, replacement, and support. 3. There are better alternatives - Guys, Samsung is now selling handsets for as low as 3,990 Pesos in the form of the J1 Mini. Then if you want something better and you can spend up to 8K, there's the Galaxy J2 DTV and J3 2016 that performs decently overall. Then if you're not afraid to check other affordable alternatives, our local brands and few international brands are there. Just get the real thing. 4. You are only fooling yourself - Plus, you won't look cool and hip at all. Like what we said earlier, it is not the real thing. You'll only frustrate yourself when the device won't give you the performance you want. So at all cost, avoid them and be careful with your purchases. Thanks for the tip Topher!